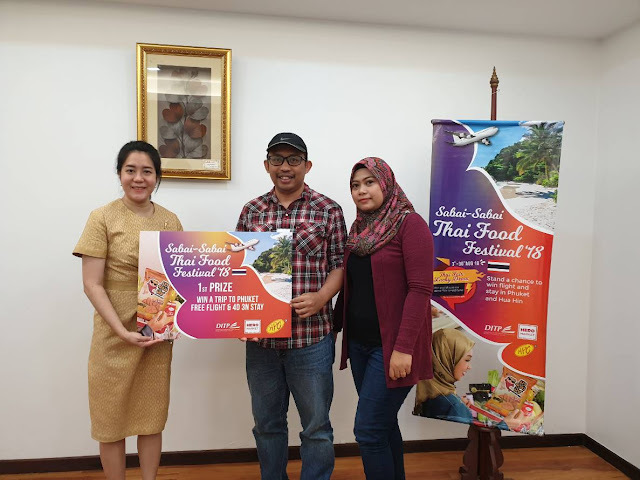 SABAI-SABAI THAI FOOD FESTIVAL 2018 ENDS WITH WINNERS RECEIVEING THEIR LUCKY DRAW PRIZES | The first Sabai Sabai Thai Food Festival 2018 comes to an end on 31st Oct 2018, and the lucky draw winners were happy to receive their prizes. 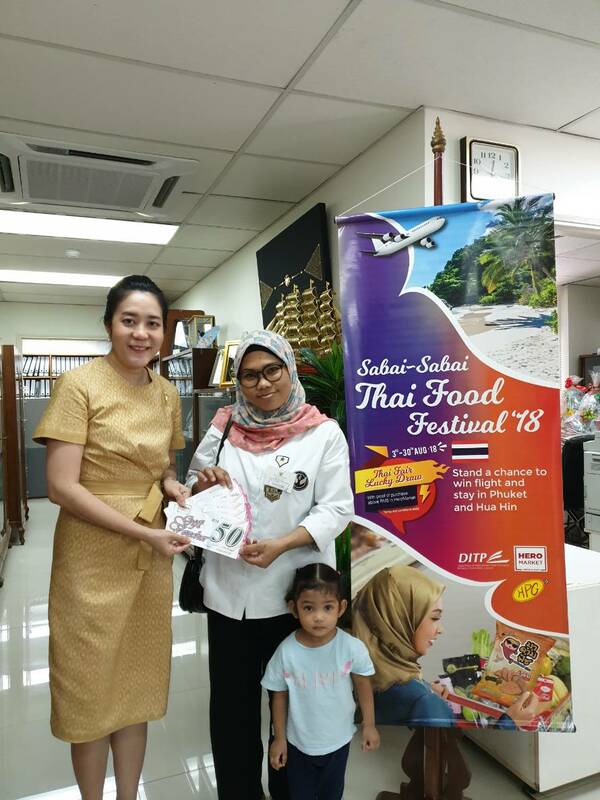 Sabai Sabai Thai Food Festival was held in partnership with Hero Market and HPG Marketing from 3rd of August to 31st September 2018. The food festival was held in all 25 Hero Market outlets nationwide. 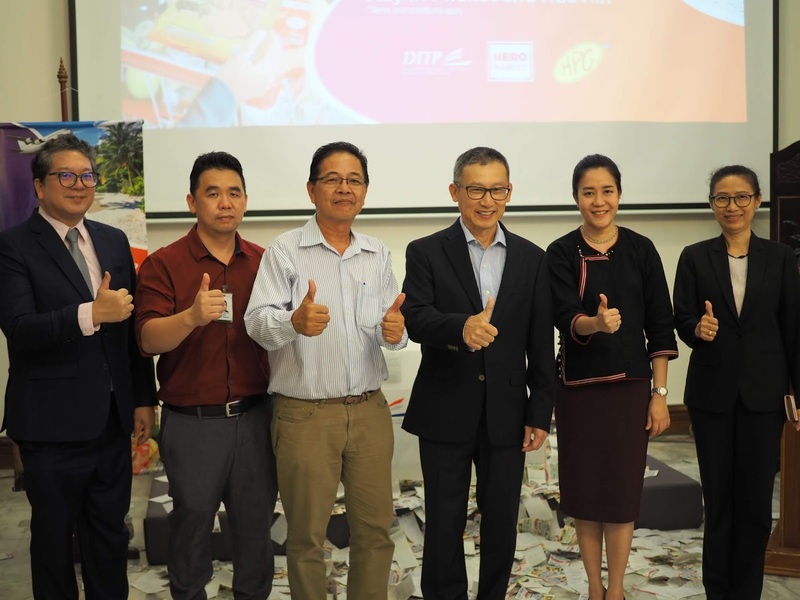 The numbers of Thai products sold in the Hero Market has increased from 300 SKUs to 500 SKUs and has exceeded the targeted sales of 2 million baht during this period. H.E. 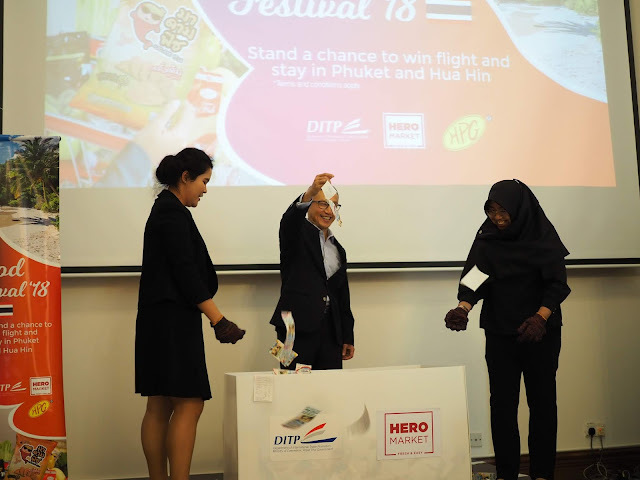 Narong , Ambassador of Thailand to Malaysia was present to pick the five winners of the lucky draw contest during a ceremony held at Thai Embassy. 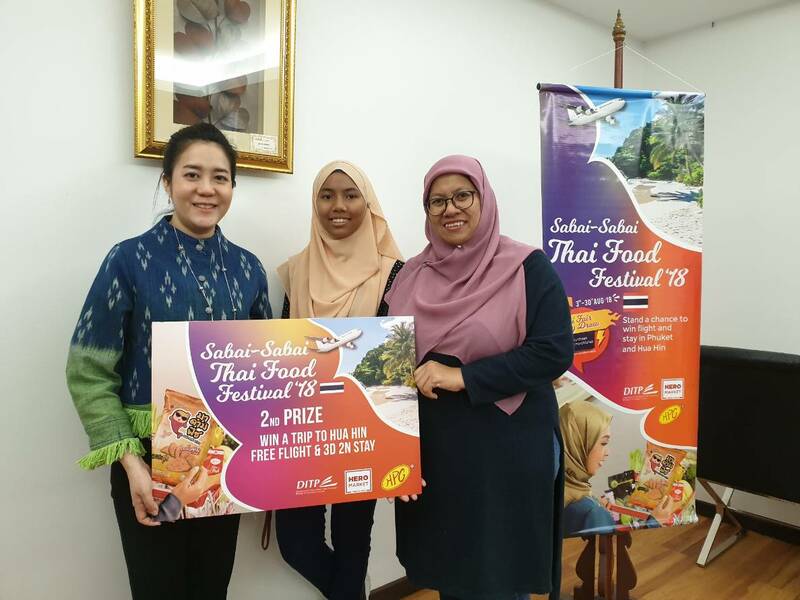 sila layari Facebook Hero Market atau Think Thailand Malaysia. 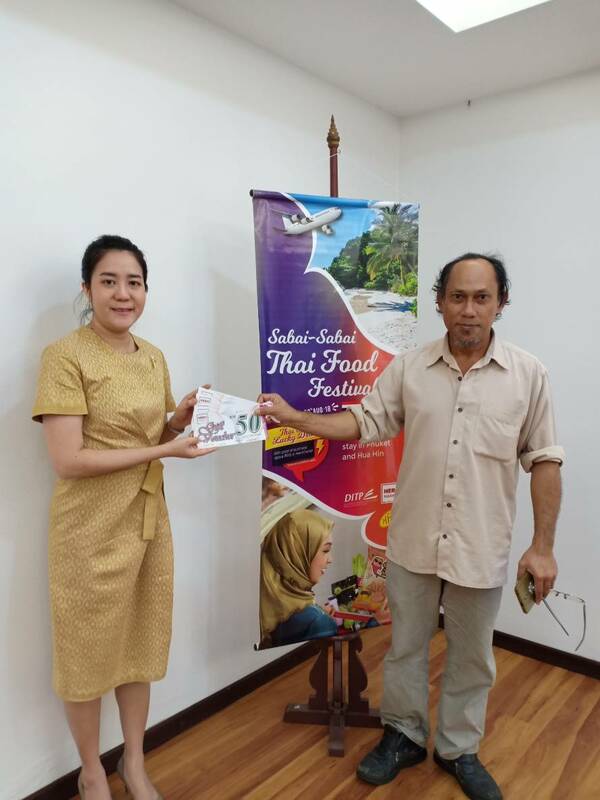 P/S: Berjaya juga mengupdate..BTW terima kasih semua tas ucapan selamat hari jadi Sis pada entri sebelumnya.. Maseh :) .